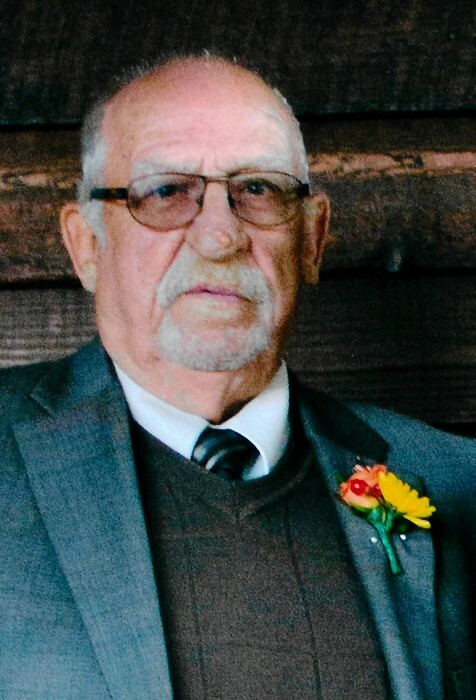 CUYAHOGA FALLS – Douglas Gene Shroyer, 84, passed away October 13, 2018. He was born in Troy, OH and resided in Cuyahoga Falls for the past 53 years. At the age of 16 he enlisted in the U.S. Air Force at the same time as his older brother, Gordon. During his 10 years of service he served all over the world. In 1961 while owning and operating a restaurant in Denver, CO he met his now wife Carolyn. They were married in 1963 moving to Cuyahoga Falls in 1965, where they settled to raise their family. Doug then worked for the Coca-Cola Bottling Co. in Akron going on to retire from Rail Container Services in Cleveland, OH after 21 years of service. He was a proud Teamster Local 407 member. In retirement Doug worked many years at Brookledge Golf Course and then portered cars for Cascade Auto Group. He was a life member of the NRA, Bass Masters Association, North American Sportsman Club and numerous other local conservation and outdoor groups. Doug was an avid hunter and fisherman and enjoyed taking anyone and everyone fishing on Lake Erie. He enjoyed bowling in the Falls Church League. Doug was a founding member of the Cuyahoga Falls Walleye Club and the Cuyahoga Falls High School Maws & Paws Football Boosters. He was a life member of the American Legion Charles Faust Post 281 in Cuyahoga Falls, where he served on the Honor Guard. Doug had many friends and enjoyed spending his winters in Florida. Preceded in death by his parents, Cecil and Mildred; siblings, Jack, Gordon, Charlene, Dale and Glen; he is survived by his wife of 55 years, Carolyn; sons, Duane (Lisa) and Daniel (Christine); grandchildren, Jessica, Dillon (Jordan), Dakota, Mackenzie, Nicholas and Anne; brother, Larry (Marilyn); sister, Candice (Patrick) Morgan and many nieces and nephews. The family would like to thank Summa Hospice for their excellent concern and care. Memorial calling will be held from 5-7 Saturday, October 20, 2018 and one hour prior to a 2 PM memorial service on Sunday, October 21 in the Clifford-Shoemaker Funeral Home 1930 Front St. Cuyahoga Falls, OH 44221. Inurnment will be at 1:30 PM on Monday, October 22, 2018 at the Ohio Western National Cemetery. Memorials may be made to the American Legion Honor Guard Charles Faust Post 281 or a charity of your choice. Services entrusted to Clifford-Shoemaker Funeral Home and Crematory, 330-928-2147.